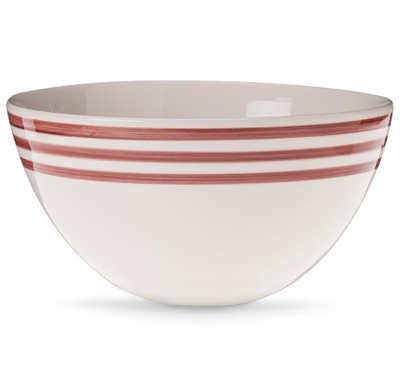 This Red Bistro Stripe Serving Bowl is the perfect size for all of your dishes. Made of hard-wearing, glazed stoneware for long-lasting use. Dishwasher and microwave-safe. $14.99 Sale $11.25. Buy here.